I find myself thinking today that Biljana is actually a very wise woman. On the one hand, I am thrilled. I have been given license to publish and promote this incredibly wonderful book, written by a woman who seems smart enough to keep her clever publisher at arm’s length. Which means that she probably is Not going to want to have endless discussions about the promotions. I have her snail mail, we’ve agreed on terms. I’ll certainly be sending her checks as I sell her books. But I do not have to clear everything with a temperamental artiste who is also a friend. I seem to have pretty free reign to decide and do it My Way. I find myself wishing I knew just a bit more about the stories of some other incredibly great writers making a life-changing agreement with her first publisher. Cause I’m pretty sure that the work I am about to introduce to you is as significant as any that global literary society has seen in a long time. So the fact that I have landed this book is actually HUGE. Although of course it will take 10 years of hard work to turn it into “an overnight success”. But if you have any appreciation for the art and craft of fiction, I know you will want to read this book. 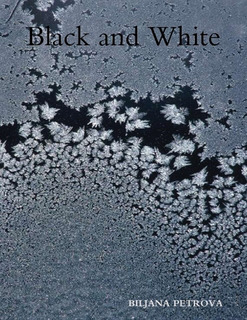 And if you read my blog regularly, you’ll soon find out that I will even let you read Black And White for free. Well, you read my mind. So it’s one of the reasons you’re my publisher. I knew you would appreciate the “free reign”, and much as I am a temperamental artiste (sometimes, it’s inevitable) I really don’t think there’s a lot to discuss. There’s the work, there’s you, you know what you need to do…I know I need to keep on writing and this blog post sums it up well. Too well. It’s rare for me to find such synchronicity of ideas and thoughts. Above all, thank you for giving me hope.